SunnyGal Studio Sewing: Save yourself from the clutches of alteration! Please don't shame the no tracer original owner of the neat pants pattern. I assume you got the pattern for a cheap price and you got some good information so an even trade. 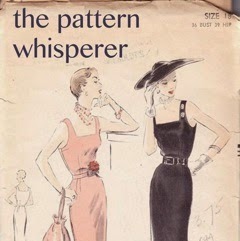 Obviously I'm not a pattern tracer as I get my patterns at good prices so I feel no obligation when they are passed on. 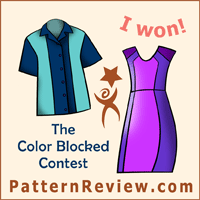 Guess I should point out that I freely give my pattern away at no charge. gosh, I was joking about pattern not being traced - I cut or trace patterns depending on my mood. Although if they are on quality paper I trace my size as it so much easier to fold up and store pieces of thin tracing paper. Terrific find! Personally, I love "Let's Understand the Ease Situation." I think I could through that into a conversation once in awhile. Cheers to a Happy Halloween! I want some of that iquid refreshment! Great post--thanks! 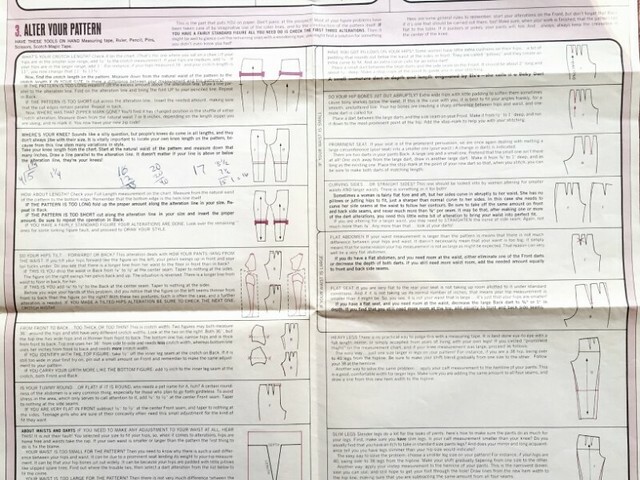 What a great find and to have this pattern to read the instructions would be very enjoyable. 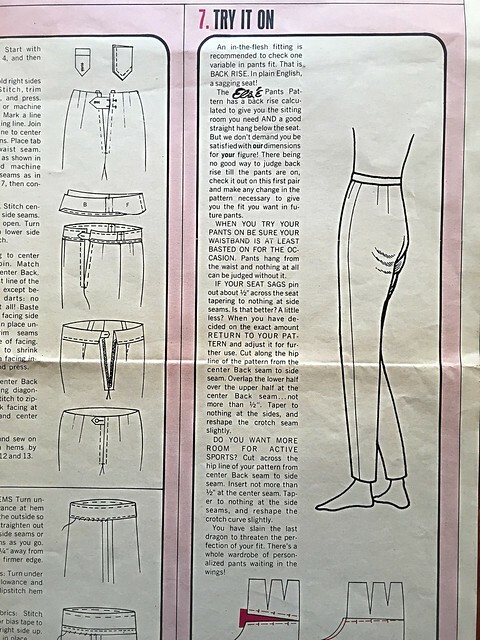 Now you have got me wondering if your got the Vogue pants to fit using Else's instructions. 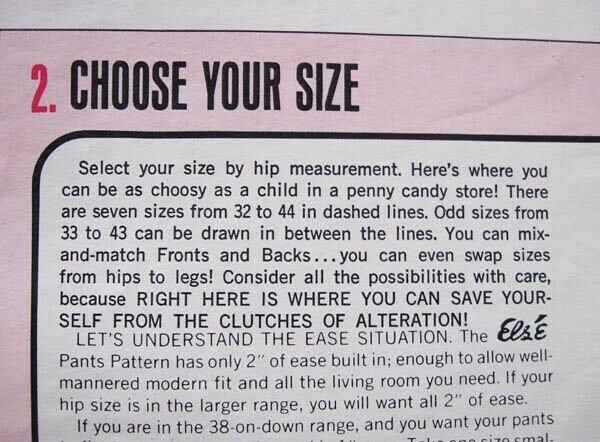 Interesting read - I had no idea there were indie patterns prior to the current craze! Fun and helpful. I'm going to look her up! Ok, based on your post I just ran over to ebay and bought this pattern! 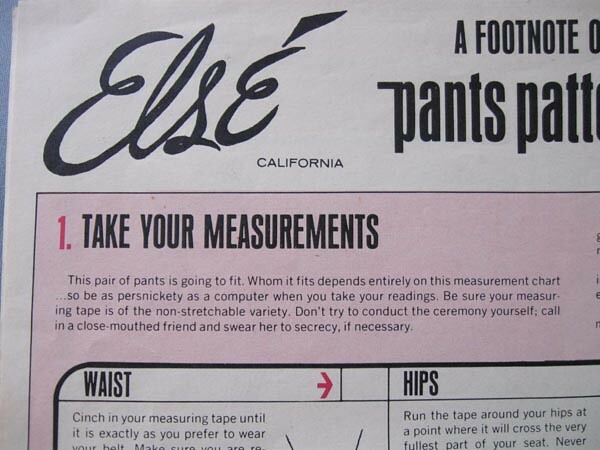 These instructions seem like a hoot! Enjoy Halloween; I only get about 30-35 trick or treaters but am thinking of dressing up for it. Love seeing all the little ones in their costumes. Thanks for sharing those interesting instructions. 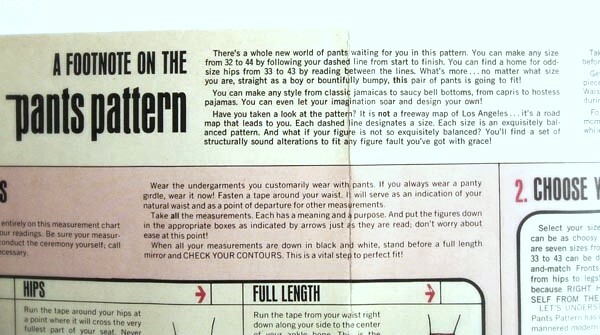 I just ordered two patterns from that line just because of this post. I am so glad to see this! 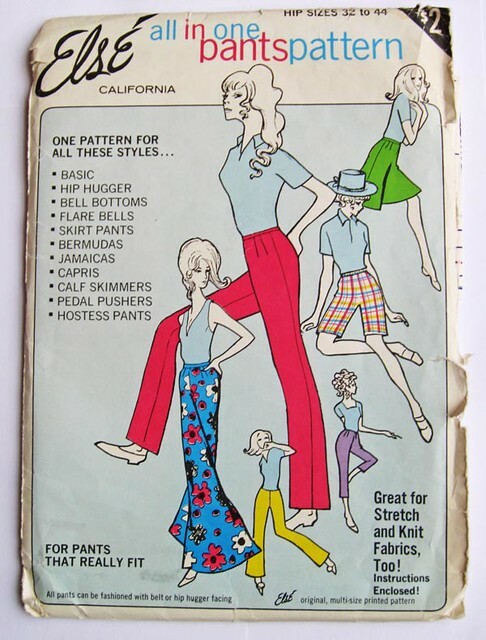 I own 3 Else of California patterns and her self-published book! This is awesome! Thanks so much for sharing this gem. I have that pattern and a couple others of hers. Lots of useful info on fitting.